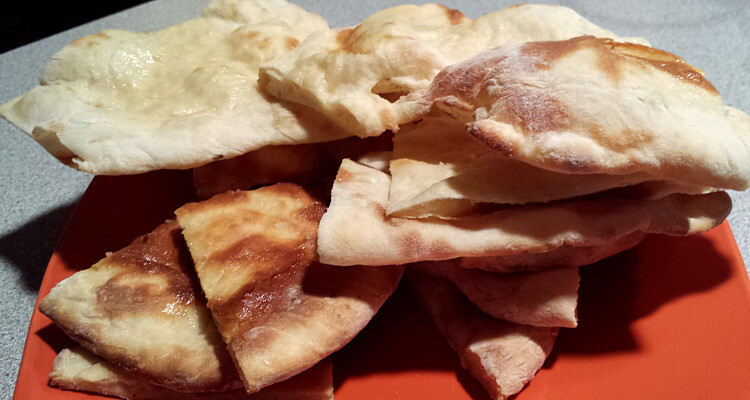 Naan is flatbread that is a staple in North Indian cuisine. Traditionally cooked in a clay oven, it is smeared with butter or ghee before serving, and torn into bite size pieces to scoop up curries and vegetables. While in Genoa, we sampled Ligurian ‘focaccia’ which was almost nearly similar to the flatbread called ‘schiacciata’ (literally translated ‘flattened’ bread) which we ate while travelling through Tuscany. Seasoned with olive oil and sea-salt, then baked in an oven, it’s characteristic little dimples capture the olive oil and herbs. Crisp at the bottom, but soft on the inside, its toppings ranged from savory (onions, mushrooms, ham or olives) to sweet (honey, figs).